The Emir added that, â€œKilling people in the name of Jihad is not Jihad. Allah does not prohibit us to cater for and take care of people. â€œSo, what we see with people destroying the peace of the nation is not a Jihad. â€œWe must keep the promise with those we promised. These who are leaders, you are expected to fulfil your promises to the people when you assume office. 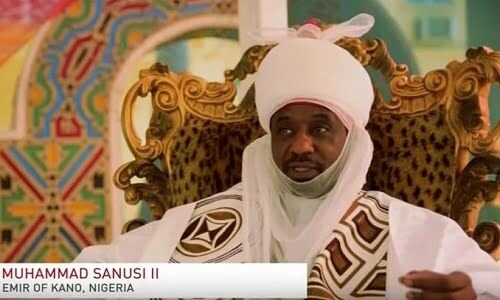 It doesnâ€™t matter if you ask God to make you President, Governor, Emir, Principal, it does not matter but you promised Allah that I will take care of people but you fail. â€œIslam does not allow a Muslim to take away property of the people unjustly, who does not fight you. Fight only those who fight you. Even, there are rules in the war, you donâ€™t fight the children, the aged and womenâ€.